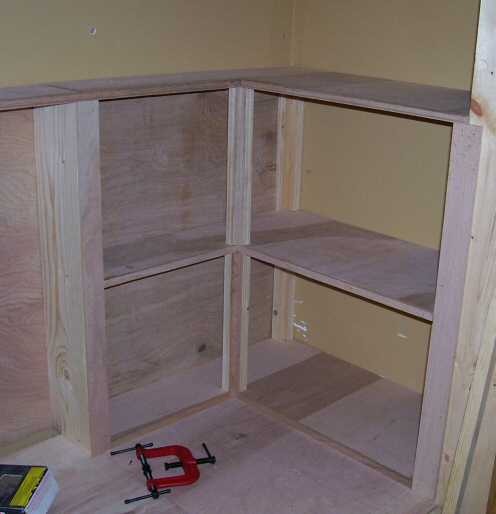 The shelves under the computer desk are made of birch plywood like the other ones, and are open both on the front and sides for easier access. A power outlet is under the desk surface on the left side. All the edges are lined with oak trim molding. This corner is high and deep enough to fit a CRT monitor inside. The shelf at the top is over 20″ above the desk surface. There is a notch cut in the desk surface in the corner for power cords to reach down to the power plug below. One of the center shelf supports can be seen on the right. I wanted a series of shelves for this corner, to store computer related items and documents on. The shelves are one continuous piece of birch plywood supported on the corners by wooden columns. 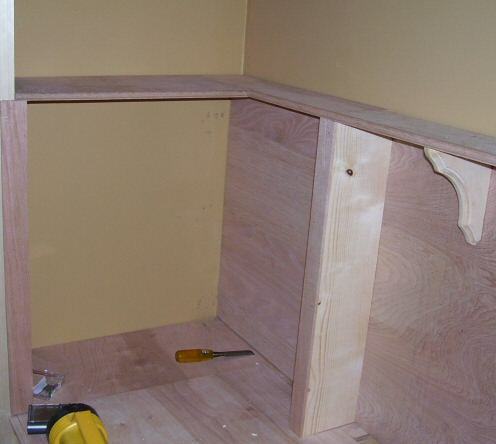 Oak molding edges all the shelf pieces. One of my molding clamps can be seen at the bottom. 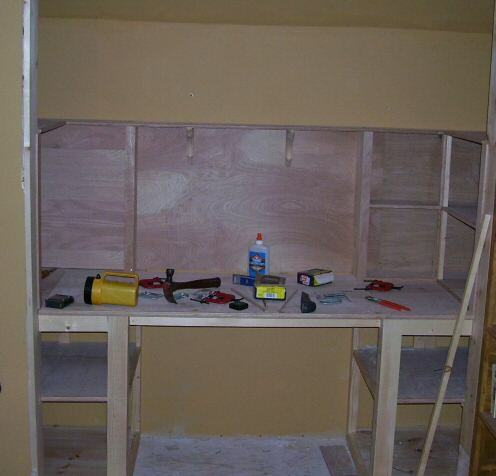 This desk is located inside the library I am building, fit within a closet nook. 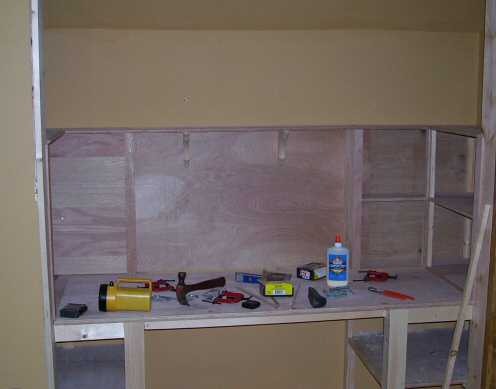 The back is faced with red oak plywood, and the shelves are birch plywood faced with oak molding. I’ll be adding another shelf and decorative molding at the top. An electrical receptacle is under the shelf on the left.